Scott Grimm is a Commodore of the Queen City Yacht Club and Trustee of the Knights of Columbus, Our Lady of Fatima Council. Scott works for LifeWatch Services, Inc. in mobile cardiac medical device sales and is currently a Board Member of the Seattle University Athletic Director’s Circle. Scott serves as the chief historian with a dive team that believes it has found and recovered an anchor from the Vancouver Expedition, lost in 1792. 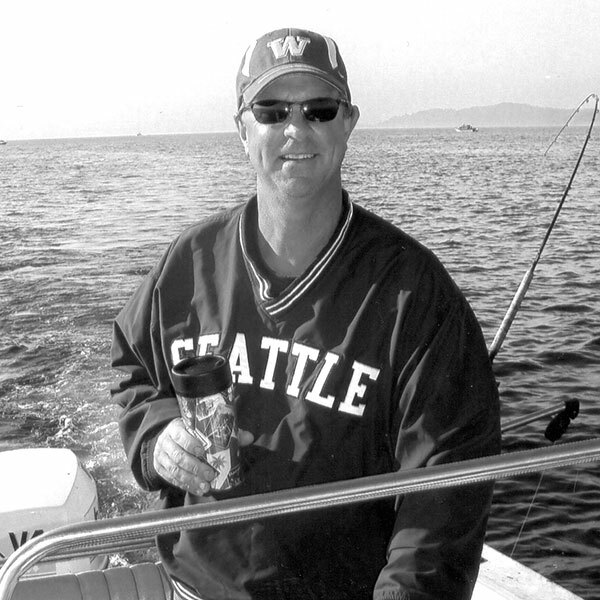 He and the Grimm Family have been avid fishermen in the Pacific Northwest for five generations.